Aging can bring about natural changes in sleeping patterns and sleep quality. After people turn 60 and also soon after retirement, sleep can become less deep and the amount of time we sleep can be shortened by up to 2 hours each night. Many also wake up more often during the night. Yet regardless of age, doctors advise that we need around 8 hours of sleep per night to function optimally. If you have trouble sleeping for 8 hours each night, a healthy solution is to consider taking regular daytime naps to refresh and rejuvenate your body. The type of sleep people get changes most between ages 19 and 60. Children and teens experience a lot of deep sleep, which is believed to restore and replenish the body. This also fuels their growth during the developing stages of their lives. Dr. Arand says that children spend about 50% of their night in deep sleep. By the time they’re 20 years old they get half that amount. She said some people as young as 40 may lose the ability to go into that restorative sleep. Older people spend little time in that sleep stage. As a result, they are more easily woken up in the night. While busy lifestyles don’t always allow time for taking a daily nap, it’s important to remember how beneficial getting enough rest can be for those struggling to get their 8 hours each night. According to the National Sleep Foundation, a 20 to 30 minute nap can help improve alertness, one’s mood, and one’s performance. Some of the most famous nappers include Albert Einstein, Napoleon, John F. Kennedy, Thomas Edison, and Winston Churchill. These naps are planned for the times right before you get sleepy. This nap is recommended when planning to stay up later than usual, for times when you regularly feel tired, and can be used to prevent yourself from getting tired too early in the night. These naps are for those who feel very tired or experience fatigue when driving or operating heavy machinery. If you’re sleepy, it’s always best to pull over and take a short nap somewhere safe, rather than to continue driving. Habitual naps are naps that you take at the same time each day. The National Sleep Foundation recommends naps of 20 to 30 minutes for an immediate improvement of alertness and performance. Naps of this length tend to not interfere with nighttime sleeping patterns as well. Avoid taking naps in the early evening though to prevent a disruption in your sleeping pattern. 1. Naps can improve performance, alertness, and reduce accidents and mistakes. One NASA study showed that a 40-minute nap improved sleepy military pilots and astronauts’ alertness by 100%, and their performance by 34%. 2. 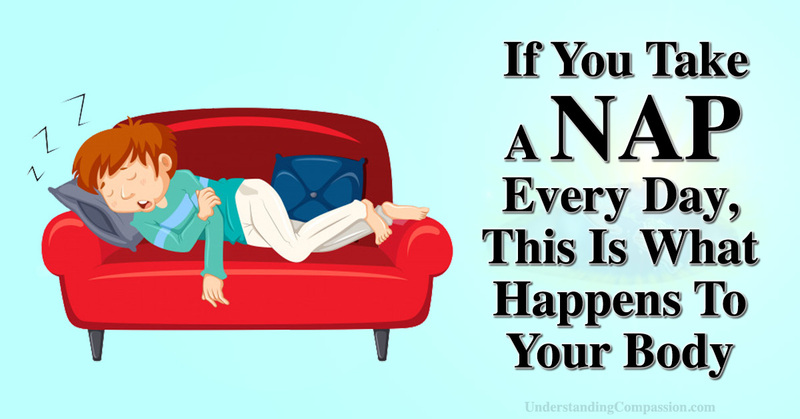 We often feel more alert after taking a nap. 3. It can help us relax after a long, stressful day at work. 4. Naps improves your working and learning memory. 5. Improves memory retention – your recent memories are transferred to the part of the brain where long-term memories are stored, all during the hours of sleep. 7. Heightens your senses – experts suggest that napping is possibly as good as getting a full night of sleep when it comes to improving sensory perception. 8. Naps improve your creativity: taking a quick nap helps reduce overthinking, and loosens up the web of ideas in the brain. 9. Boosts mood – regular napping increases levels of the happiness hormone, serotonin. 10. Reduces stress – lack of sleep leads to excess levels of cortisol – the stress hormone. Taking a quick nap every day can help reduce the creation of cortisol. 11. Boosts energy levels – taking regular naps can give you enough energy so that you won’t need to drink coffee or energy drinks as often. Overall, taking regular naps each day can be beneficial in many ways to your health and well-being. If you currently sleep for around 6 or 7 hours each night, consider adding a daily nap to your schedule, and notice the resulting improvements in your energy, concentration, and mood.